It was a pleasant surprise to see this wonderful little egg looking chocolate treat called Kinder Joy through a drug store in the province. I’ve never seen anything like it before so I just got curious and tried one for my literally in Kinder daughter. It’s a bit pricey for its size but there is a surprising content inside which my preschooler liked, no, actually loved. The little egg is split into two inside with one portion containing chocolate you can scoop out and the other half comes with a surprise toy, albeit miniature in size. The chocolate section is as expected, delicious. Months after, my daughter introduced me to YouTube videos featuring the actual product where this idea came from. It looks like it’s nothing new, although new to me. The real Kinder Surprise toys are bigger and obviously come with bigger toys inside. There are even eggs that hatch with more eggs that hatch into more eggs… you get the picture. 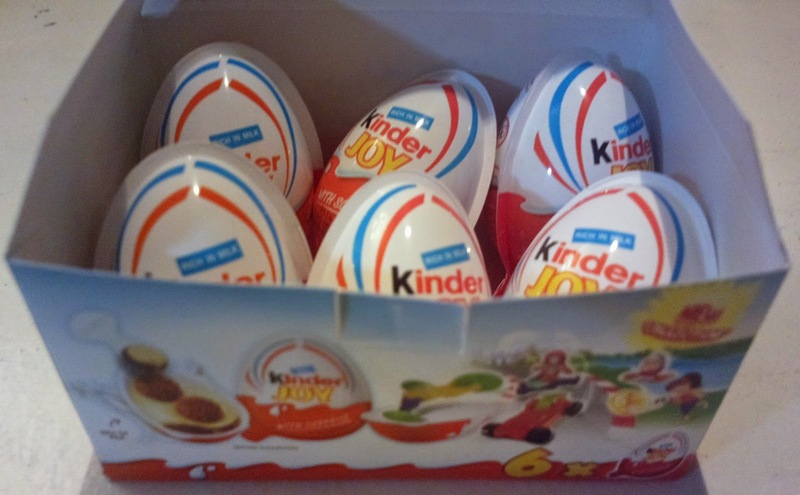 Kinder Joy is available throughout supermarkets, groceries, and drugstores nationwide. I found the box with 6 items through membership shopping center S&R.